I am all about investing in my skincare. But when I find a good drugstore brand I like to try as much as I can and really test it out see what's good, what's bad and what I incorporate into my everyday skincare routine. 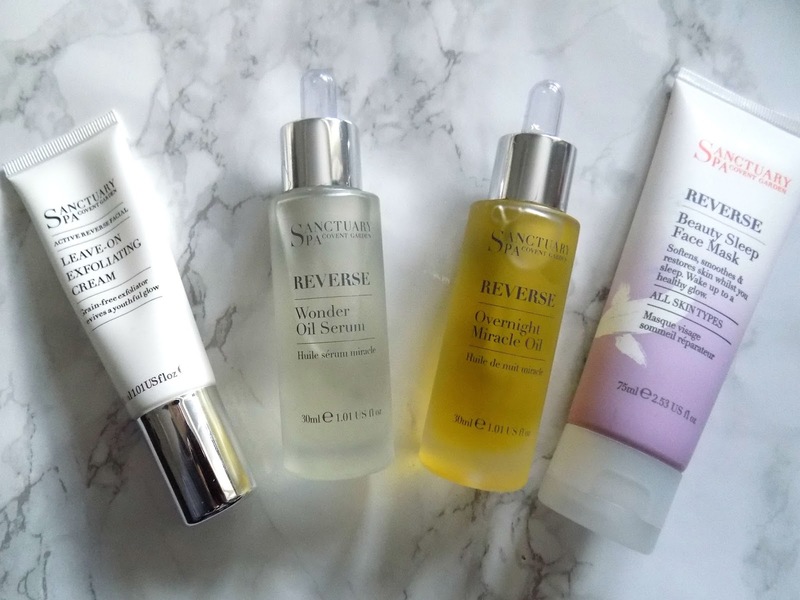 So here's my introduction into the Sanctuary Spa Skincare range. 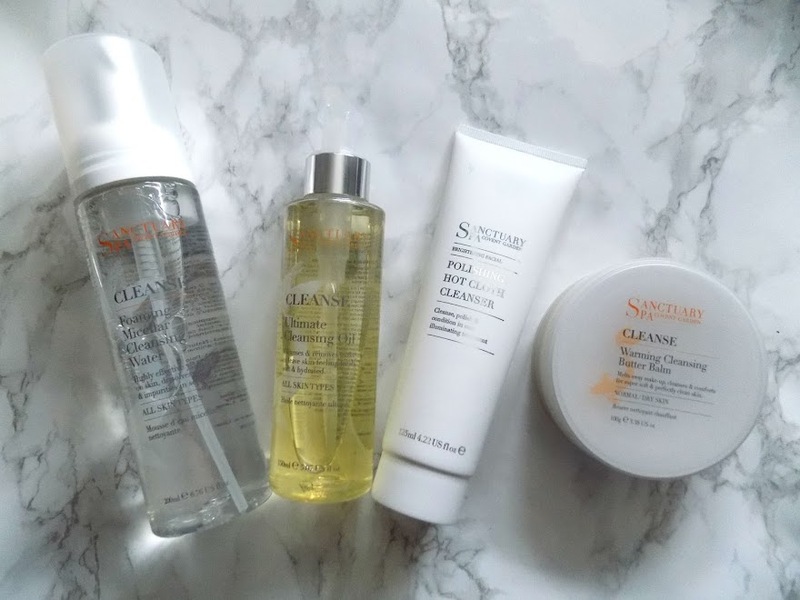 Everything in their CLEANSE line is designed to remove makeup, daily grime and impurities effortlessly. Daily cleansing is essential and this blend of essential oils and skin-loving ingredients makes it an absolute joy to remove my makeup and cleanse my skin. 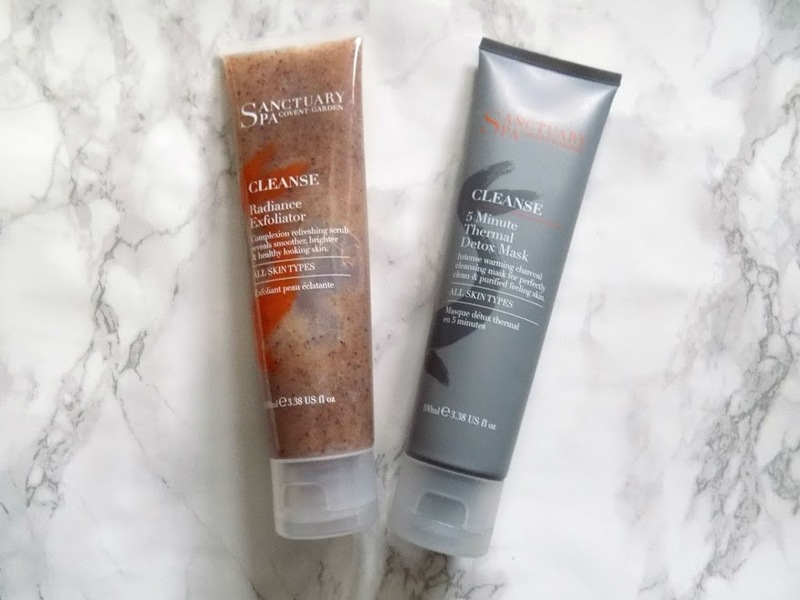 This is a cleanser which deep cleanses whilst acting as a great gentle exfoliator to help stimulate circulation and leave a glowing complexion. It's a thick cream which is nourishing and breaks down all the dirt and makeup. A foaming cleansing water? Not something I've ever seen or heard of before but it intrigued me so I had to pick it up. With soothing rose water and nourishing Argan oil, along with micelles which act like magnets to gently lift impurities and makeup from the skin. It's gentle yet effective at removing any grime or makeup and skin feels instantly clean and fresh. I am a massive fan of cleansing oils anyway and I am collecting a few to do a face off, but when I saw this I just had to try it. I love pumps on skincare products. I just think they're so practical and look much nicer. This cleansing oil doesn't leave a greasy feeling on the skin but still hydrates yet removes makeup effortlessly, it's incredible. Simply massage into your skin and remove with face cloth. My skin feels hydrated, soft and fresh but not dry or tight. I love it. Cleansing butters are a massive trend in the skincare world and for good reason. This is a warming buttery balm which melts away makeup, cleanses the skin, and it has an impressive ingredient list. It contains: Vitamin E, Organic Rosehip Oil, Argan Oil, Shea butter, Cocoa Butter, Sweet Almond Oil and a blend of Essential Oils. This leaves my skin feeling so soft and smooth and generally just comfortable and hydrated. A good clay mask is vital for my skincare routine. As much as I love the GlamGlow one, I don't have the money to spend that much on my skincare anymore. So when I tried this it ticked all the boxes and more. This is a thermal one so it heats up when coming into contact with your skin. It has the charcoal so it draws out the impurities and cleanses the skin and purifies. My skin never feels tight or uncomfortable after using this, or any of the products I am mentioning today. This is by far the best clay mask I have used and I will never need ro repurchase any higher ticketed products. I am very picky when it comes to exfoliators. I have been an avid user of the Soap & Glory Scrubatomic for a while now but I just had to try this as it looked like the scrubbies were different sizes and didn't look too harsh. I was right. This exfoliator instantly reveals a brighter and fresher appearance and because of the ultra-fine apricot granules there's no risk of the particles being too harsh or damaging your skin. It also has pumpkin, pineapple and papaya extracts to help increase cell renewal. And what do you have left? super smooth skin that glows with radiance. Plus, it's suitable to use 2-3 times a week which I definitely agree with as I love how soft and smooth it makes my skin feel. The REVERSE range is formulated by boosting the skin's natural defenses, it makes it possible to reduce signs of ageing and give a more youthful and healthy complexion. Pure essential oil's and nature's anti-agers are used to firm, plump and smooth on the skin and an intensly nourishing complex are used to hydrate and protect the skin. The blend of five botanical fruit AHA's brightens skin and encourages skin cell renewal, This is a new exfoliating serum which you are supposed to wear all day as part of your beauty routine, and although I have tried wearing it through the day, I prefer at night as I don't like wearing a chemical exfoliator when outside, I just don't feel my skin is very well protected from the elements enough. The way this makes my skin look and feel is just amazing. It's an anti-aging product so it does have peptides to reduce wrinkles, but it's what also makes my skin smooth, soft, with an overall brighter complexion, for that healthy, youthful glow. The way this makes my skin look and feel is just incredible. I find my skin is smoother, softer, my makeup applies perfectly over the top and I just love how my skin has transformed with this product. This rich and silky oil is full of essential oils and natural ingredients, and you simply shake to activate, apply a few drops onto the skin and it's nourishing oils including moringa, jojoba and pomegranate oils for an intense hydration boost as well as smoothing, firming and giving a plumper, brighter look to the complexion. This rich and silky oil is a concentrated and reviving blend to re-charge, hydrate and brighten the skin for a plump and radiant look to the skin. This has a complex of 5 lipid replenishing oils and Sanctuary claim you see a visible reduction in fine lines and wrinkles, with your skin appearing brighter and more radiant from using this oil and although I don't have too much trouble with wrinkles, everyone has fine lines so any preventative measures that I can take, I will. This is a great product. This works on the premise that your skin is given a chance to recover from the daily stresses and environmental conditions over night. So this has something called Tetrapeptide Chronogen which works with your skin when it is most receptive to regeneration. This is quite a thick texture, almost like a jelly, but when smoothing over your skin it feels so luxurious and in the morning, my skin is softer, smoother, more hydrated and glowing, boy oh boy is it glowing. Plus, it's also supposed to be great for anti-aging and smoothing out fine lines. I'm really impressed with this range of products. I thought it would be mainly anti-aging but the fact it is also for protecting the skin from the environment, allowing the skin to regenerate and re-charge, it's a great line. The RADIANCE line works by refining the skins texture, brightening and evening out the skin for a healthier looking complexion. So this feels very similar in texture to the REN Glycolactic Radiance Renewal Mask in the thick, jelly like kind of consistency which was the thing I hated most about that mask and it really put me off, but this one is slightly lighter and bearable as I love how it makes my skin look and feel. This one has a blend of AHA's, Glycolic Acid and five botanical extracts of Bilberry, Sugar Cane, Sugar Maple, Orange and Lemon. This peel off mask helps to lift away dead skin cells, help unblock pores to reveal brighter, smoother, clearer skin. The peel off bit is my favourite. It's like peeling off the top layer of skin and I freaked my boyfriend out with this too, which was hilarious. I've never tried a microdermabrasion product before but when I saw this I knew it would be a great one. So this one has an instant warming action, and it's a great way to really get deep into your pores for a more even skin tone and a radiant looking glow. 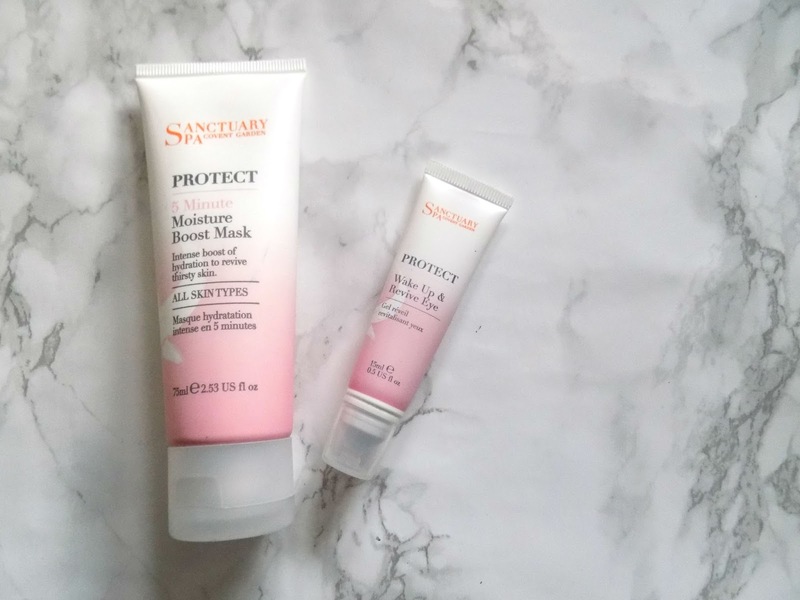 The PROTECT range is infused with pure essential oils and protective ingredients to hydrate and defend against the sun, air-conditioning and pollution. 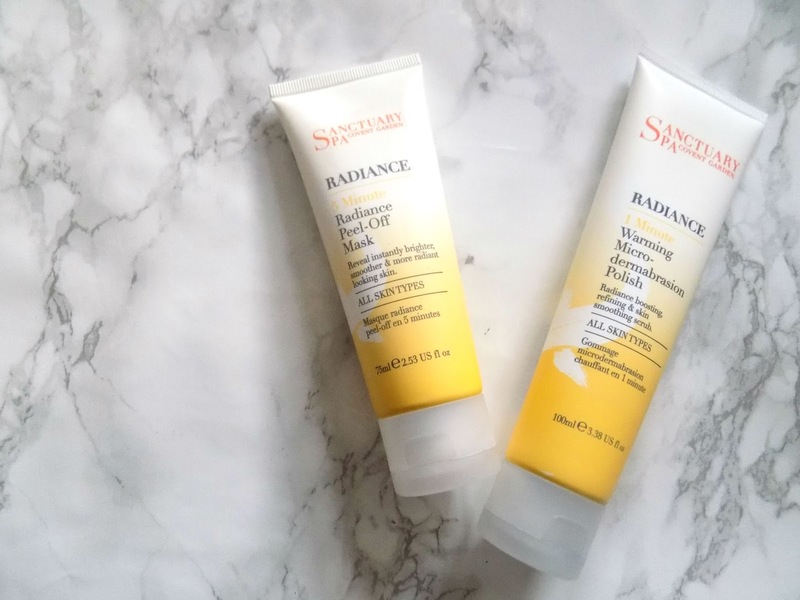 A good moisture mask is a vital part in my skincare routine, especially in the colder months and this one is such a great drugstore mask. It's a pretty thick cream and I'll be honest, the smell isn't the nicest, but again, it's bearable because it works so well. This has Organic Shea Butter, Honey and Organic Rosehip Seed Oil, all known to help protects against the signs of ageing and provide an intense hydration boost. This is a cooling and hydrating jelly, which leaves the delicate eye area feeling soothed and comforted. It's also great to reduce dark circles, fine lines and the signs of fatigue. It really does feel great on the skin and because of it's jelly-like texture, it feels great underneath makeup as a primer/hydrator. Packaging: 10/10 I've not had any problems with the packaging on any of these products. it's all very sleek, efficient and practical and I've not had any problems whatsoever. Performance: 10/10 I've had no problems with these products irritating or reacting with my skin in any negative ways. Only good results with all of these ranges and products. Price: 10/10 The products are all a really great price. I think the pricing on the products is pretty fair, and things like the exfoliating cream are higher because they're worth it. Variety: 10/10 The ranges this brand has, the variety of products is second to none and I love that they have things to suit all skin types, that aren't too harsh and that will damage your skin and that are innovative products that aren't really like anything I've tried before so I have really enjoyed discovering them. Availability: 10/10 These products are available at Boots.com and on the Sanctuary Spa website. I haven't seen them sold anywhere else but I hope they are more readily available and discovered and talked about by others too because the brand deserves so much more recognition and following. Overall: 10/10 As you can tell, I am a massive fan of the brand and all the products I have tried. 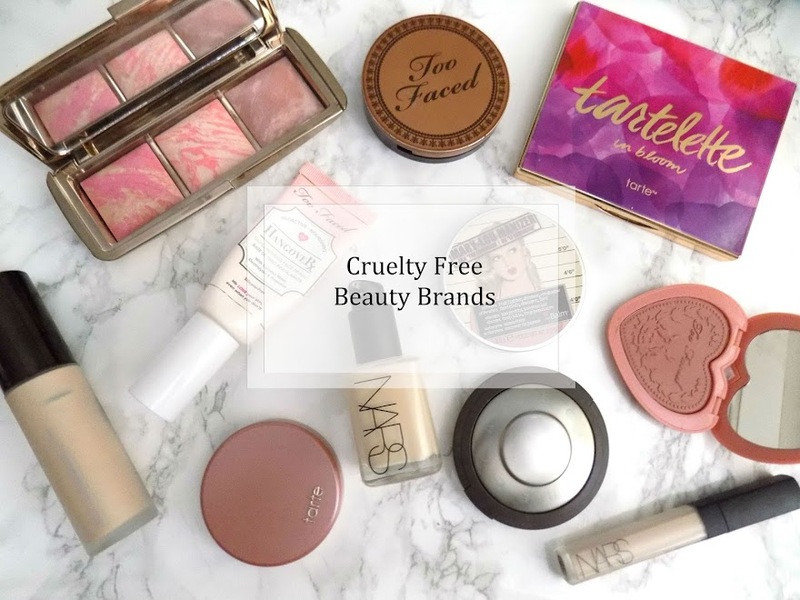 No matter what I have tried I have loved and I just think they can do no wrong and they have done a fantabulous job with all of their products. I hope you liked this review and introduction to this brand. I think they are an incredible brand and have incredible products and I highly recommend you check them out. 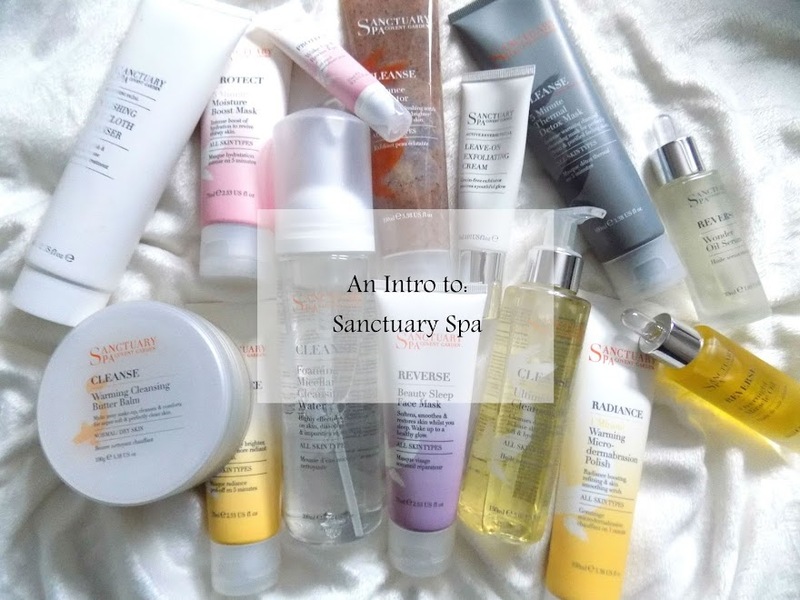 Have you tried anything from Sanctuary Spa? Disclaimer: This post is not sponsored. Sanctuary Spa don't know who I am or that I'm writing this post. All opinions are my own and 100% honest and true.